Live. Work. Play. Consume Reasonably Priced Pre-Packaged Meals. 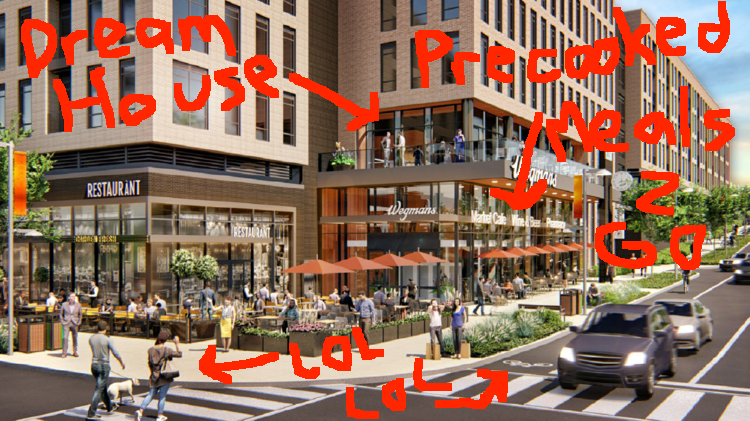 At long last, the Reston ideal may soon become a reality. Brookfield Properties' 4 million-square-foot redevelopment of the 36-acre Reston Crescent site, a short walk to the future Reston Town Center Metro station, is expected to house the community’s first Wegmans. Now we know what that building will look like. 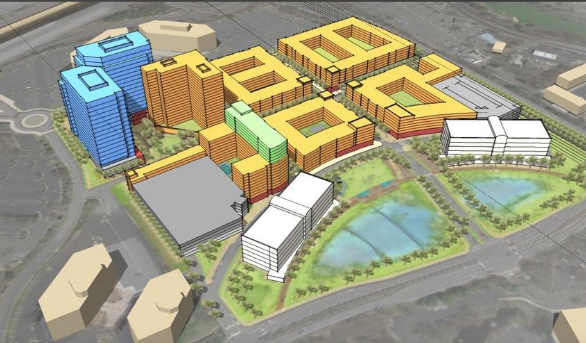 Brookfield has submitted two applications to Fairfax County. One is a conceptual development plan for the entire site, and the other is a final development plan for the first new building there, featuring the urban-format Wegmans topped by 380 apartments. That building, to include a screened garage with more than 1,000 parking spaces, will front Reston Parkway, just south of the Dulles Toll Road. The architects are MV&A and Alexandria-based LandDesign. 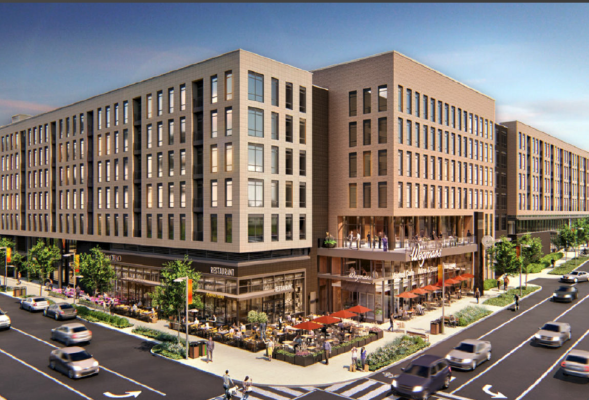 As currently envisioned, Reston Crescent will total 4.16 million square feet of mixed-use, including the two six-story office buildings there now. Those two buildings, constructed in 2000 and 2007, will remain. 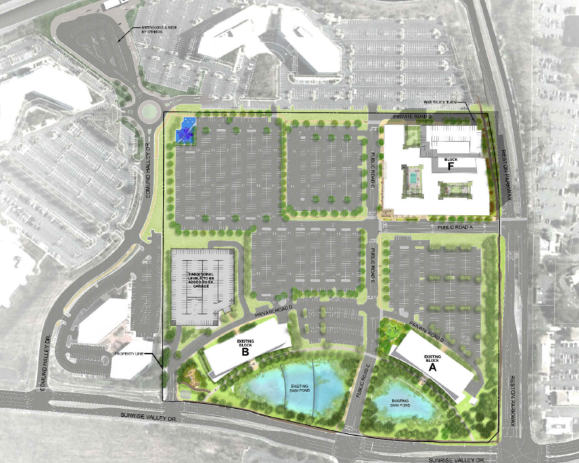 The property’s existing surface parking and open space will be developed over time with about 3.77 million square feet of new construction, to include up to 1,721 residential units, 1.5 million square feet of office, 380,000 square feet of retail and a 200-key hotel. The overall project will offer at least a half dozen park spaces — a dog park, fitness area, neighborhood park, Gateway Plaza and others. More than 4.16 million square feet (okay, maybe 4.1599999999 million square feet if you don't count the dog park) of mixed-use goodness? What exactly will that look like? Brookfield has agreed to expand Reston Parkway along the Reston Crescent frontage to three lanes southbound, largely to mitigate the anticipated Wegmans traffic. Judging by traffic today at the Sunrise Valley-Reston Parkway intersection, they might be better suited putting in a helipad. Of course, none of this will come easy, or right away. Wegmansvana will be part of Phase 2 of the project. What does Phase 1 look like, you might ask? Mmm, endless seas of surface parking. Woonerfy! Those surface parking lots remind me of RTC in the early days, back when the living was easy and parking was free. 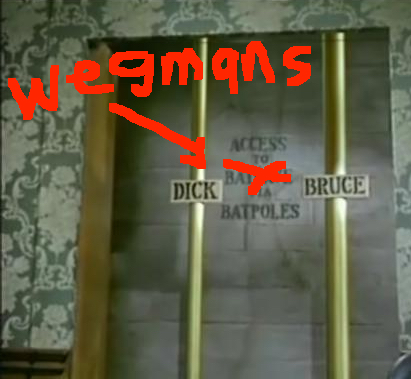 Wegmans? More like WegMEHns if you ask me. Coming soon to an intersection near you...the mother of all gridlock. This is payback from the Brutalist gods for destroying the Marcel Breuer "masterpiece" a few months ago. This one has all the charm of the semi-derelict FBI building in downtown DC. 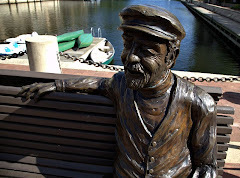 Reston will always be stuck in the '80s. For some that's not a bad thing.